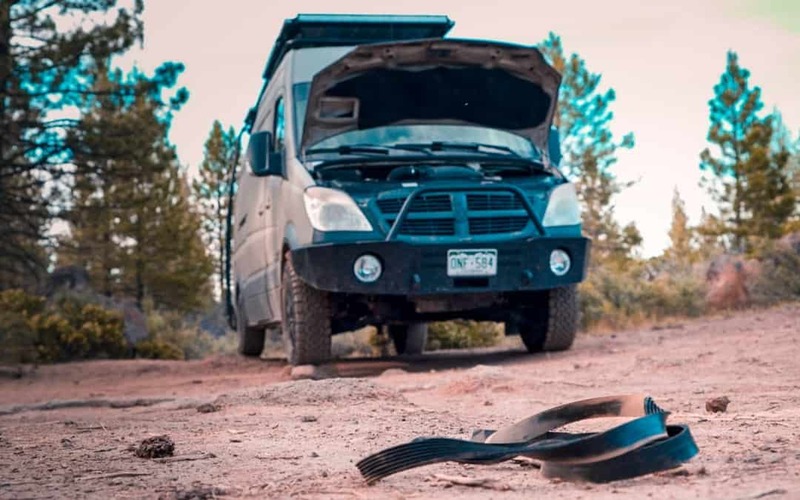 Performing regularly scheduled maintenance on your Sprinter Van will keep it running longer. And luckily, many of the regular maintenance items are pretty easy to DIY so you don't end up paying a dealership outrageous prices. Below, we'll talk about how to reset the service counter on a Sprinter, Service A Checklist, and Service B Checklist. After you have performed your Service A Maintenance or Service B Maintenance on your Sprinter, you’ll want to reset the service light. Resetting the service light on a Sprinter will start the counter over at 10,000 miles for either Service A or Service B (whichever has not been done). Contrary to popular belief, you do not need to take your Sprinter Van into the dealership to have the Service Counter Light reset. It can be done manually with just a few steps. 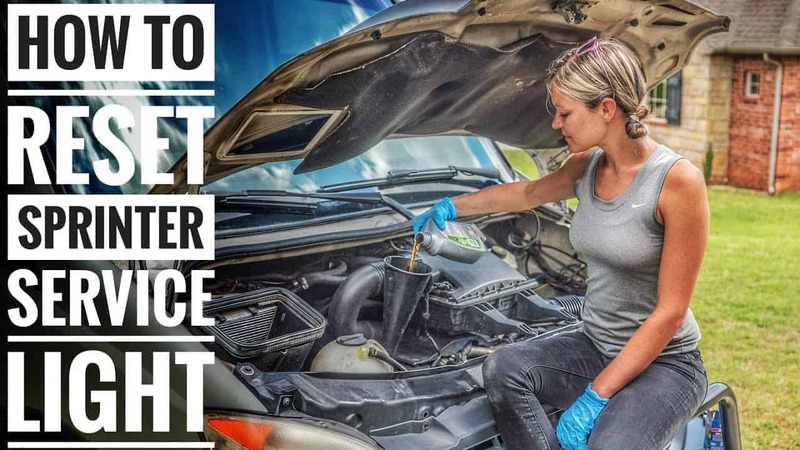 This process is the same on 2007 – 2017 Sprinters (Mercedes, Dodge, and Freightliner) and is pretty simple if you follow the steps. Push the Upper Display Selection button on the steering wheel until the vehicle’s mileage displays. Push the up arrow on the steering wheel until you reach the Service Mileage Counter. Ours shows it is not due yet, but we are going to reset it anyway since it was incorrect before and we just performed the maintenance. Press and hold the 0 button on the dash. Hold it until it beeps. This could take about 30 seconds, so be patient. Press the 0 button and it will show Service to be completed, then press the Up arrow to select complete service. Turn the ignition off and then back on and the screen should now display that the Service B counter has been set to 10,000 miles. The service intervals for Service A and Service B on a Sprinter are 10,000 between each. That is: at 10,000 miles, you’ll perform Service A; then at 20,000 miles, perform Service B; at 30,000 miles, perform Service A again; at 40,000 miles perform Service B… and so on. You’ll be doing one of the two services every 10,000 miles. Be sure to reset the service counter light on your Sprinter after each maintenance set has been performed. This makes sure you are aware of when your service is approaching and reminds you to get all of the parts to perform the maintenance. Doing routine maintenance on a vehicle will ensure it last longer and keeps you on the road. If you’re living in your van like we are (and even if you aren’t), it’s a no brainer to make sure the van is in tip-top shape at all times!